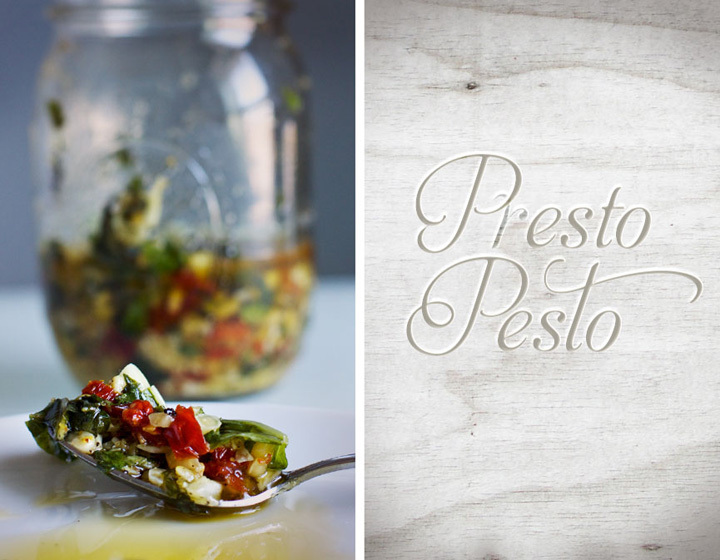 Making pesto is super easy. It’s very versatile as it can be used for pasta, pizza, salad dressing, meat dishes, or sandwiches. I like to prepare as much as I can on the weekend to make cooking a more enjoyable process throughout the week. I don’t think there is a set standard of exactly how much of each ingredient you should put in your pesto. I just add more of whatever I like. I’ve been a vegetarian off and on since I was 15. 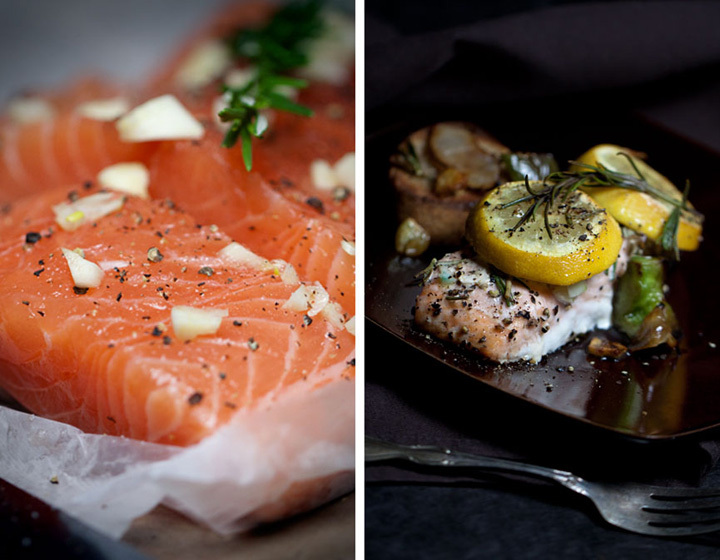 I don’t remember ever eating fish, because I was incredibly picky with meat from an early age. I still enjoy cooking it for Dustin and rely on his feedback on how it tastes. Every time he orders fish from a restaurant he says that the fish I make at home is better, so that has to be a good sign. Dustin hates the fishy taste of fish dishes so I use ingredients that will get rid of that and add flavors to it. 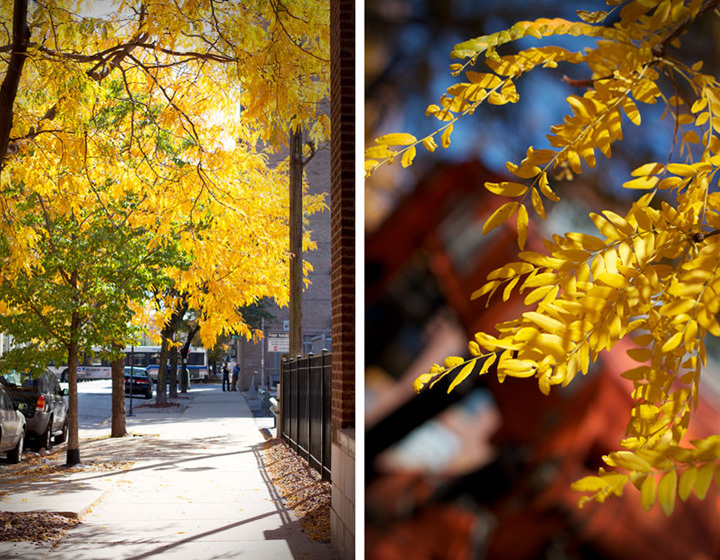 Fall is my favorite season in Chicago. The leaves are beautiful and I love bringing out all of my comfy sweaters and scarves. I dread winter, although this year has been oddly manageable. Around this time I started thinking of hobbies I could take on so I don’t go stir crazy in the winter months. I’ve always cooked, but the last few months especially, Dustin and I have been cooking from scratch and experimenting with foods I’ve never cooked before. I’ve decided to start a blog showing new recipes I’ve found. I’m sure the food will change drastically through the months since I get bored easily. I’ve gone through different phases of cooking. I’ve cooked raw, vegan, carnivorous, and vegetarian (been on that one for quite a while). Come fall I’m ready for some comfort food and probably some well needed fat storage for the winter. That’s where I will start. You are currently viewing the archives for November, 2011 at Chickypea.